We know from experience, that you want to come to a friendly, caring and approachable vets. Abbeycroft veterinary surgery work tirelessly to make this our goal, but understand just how important it is to back this up with an excellent range of veterinary services and facilities. 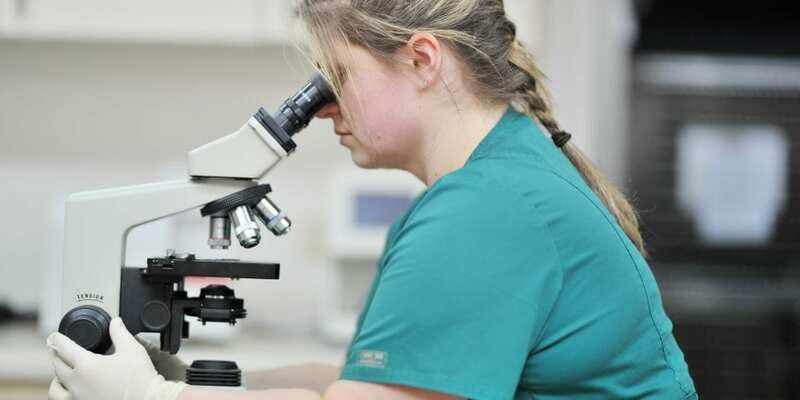 From dog vaccinations, weight clinic visits or cat neutering to more complex problems involving diagnostic techniques, we have the skills, knowledge and technology to help. Maintaining excellent standards our of facilities and veterinary services is extremely important to us. So much so, that our practice has been awarded a Royal College of Veterinary Surgeons (RCVS) Accredited Practice Status. This is just a little something we can do to show you how seriously we take your pets well-being. We have laboratory equipment to help us to diagnose many conditions and access to a fast turnaround external laboratory for more complex diagnostics. We have a separate preparation room and a large operating theatre with state of the art anaesthetic equipment and digital x-ray equipment. Dentals – from routine scale and polish procedures to more complex dental work. As part of the Willows Veterinary Group we also have the option to transfer your pet to our veterinary hospital in Northwich for round the clock care and if your pet needs specialist treatment this can be provided through our own referral hospital, Oakwood Veterinary Referrals. There is ample free parking for six cars to the front of the practice building which is conveniently placed at the top of the dual carriageway in Northwich. There is lots more parking in the vicinity.